These pools are more than just your average pools. 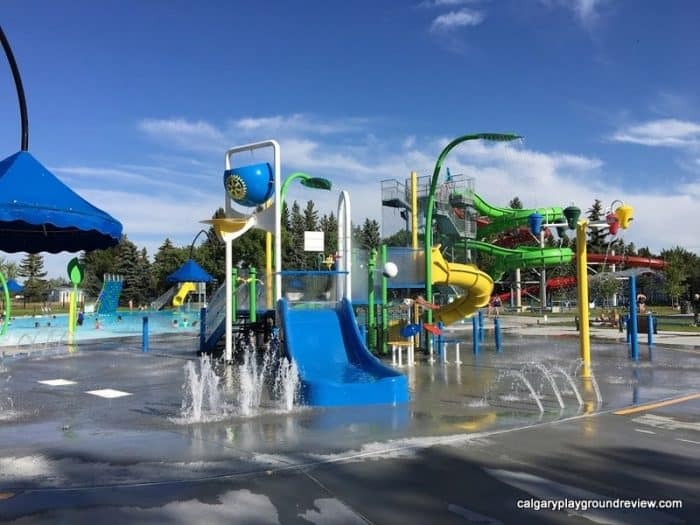 You may also be interest in reading about Calgary’s outdoor swimming pools. This pool has everything you could want – a large leisure pool with zero depth entry and spray features, two water slides, a spray park, toddler pool, lazy river, hot tub, and jr olympic pool with diving board and climbing wall. Raymond Outdoor Pool is a little bit smaller than the first two on this list but is usually less busy and is still tons of fun. 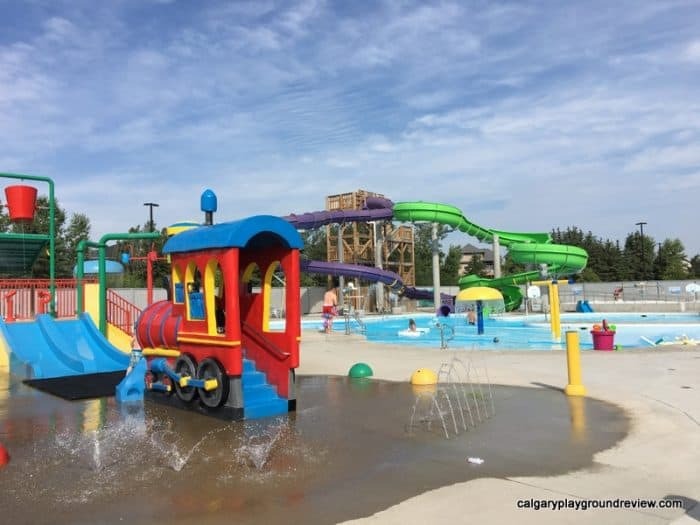 It features a shallow toddler area, recreation pool with zero depth entry with water sprays, diving area, water slides, and spray park area. 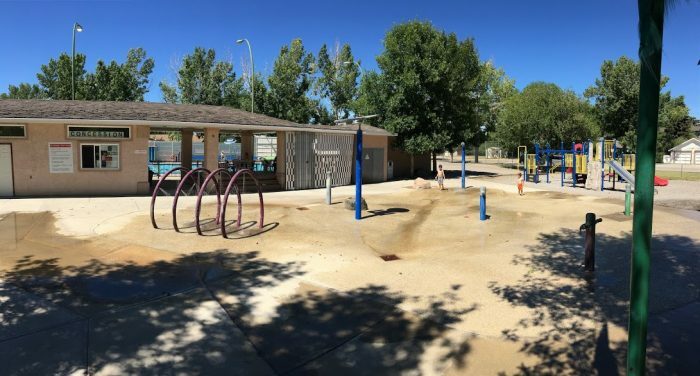 Bassano’s Outdoor swimming pool has a leisure pool area with spray features, an attached lane pool with diving board and a 2-story water slide as well as a 10 person hot tub. There is also a spray park that is free to access just outside. Rimbey’s pool features a Jr. Olympic pool, leisure pool, waterslide, hot tubs, diving boards and spray park. Vulcan’s Outdoor pool features a 25 metre pool, , 5-person hot tub, diving board, Climbing wall, and many toys! Even better, the park that it is located in has a spray park, playground, skate park and beach pit just a short walk away. All your summer fun in one spot. 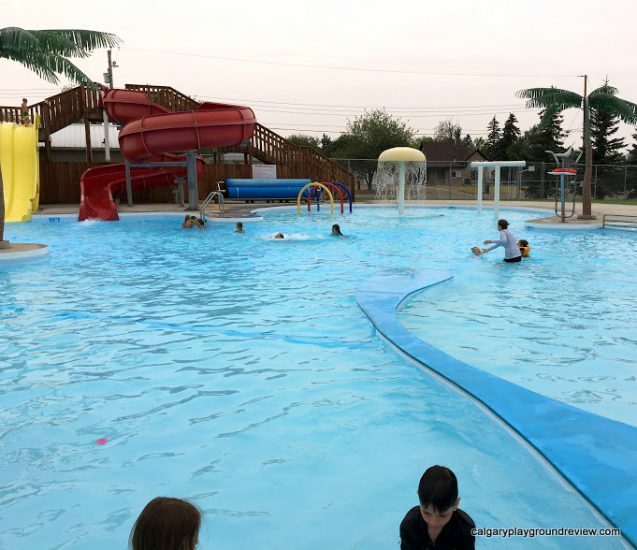 Drumheller’s outdoor pool is pretty basic, however, your admission gives you access to both the indoor and the outdoor pools. The indoor pool has a waterslide, rope swing, gradual entry, diving board and hot top. To top it off, there is a dinosaur themed spray park and wading pool right outside. 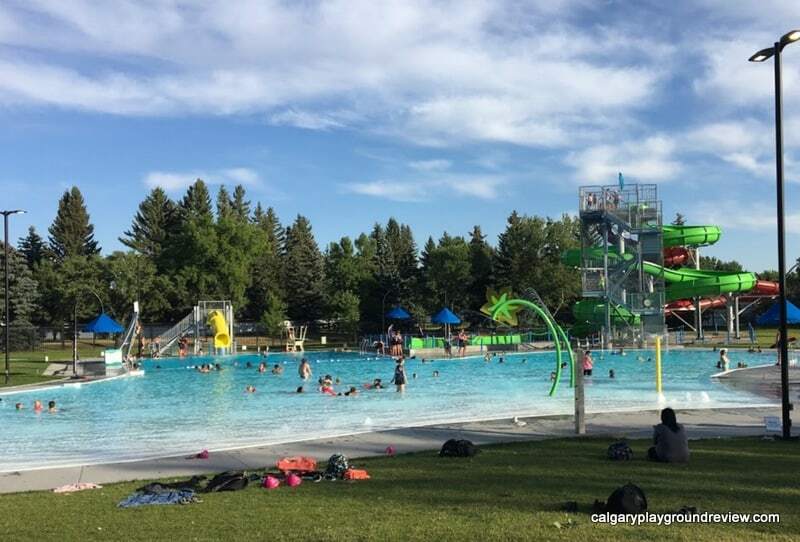 You may also be interest in reading about Calgary’s outdoor swimming pools.